You can get more into the spirit of the season by making decorations yourself. 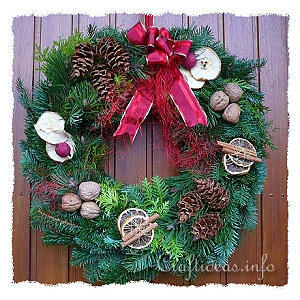 When guest come, greet them at the the front door a this fresh smelling and naturally decorated wreath. Because the cold temperatures outside preserve the greenery, this wreath can even be left on the door long after Christmas is over. 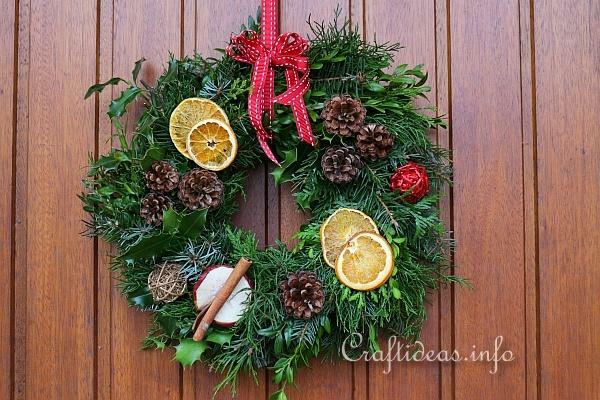 Follow the instructions in the tutorials below and learn how to make a basic wreath. 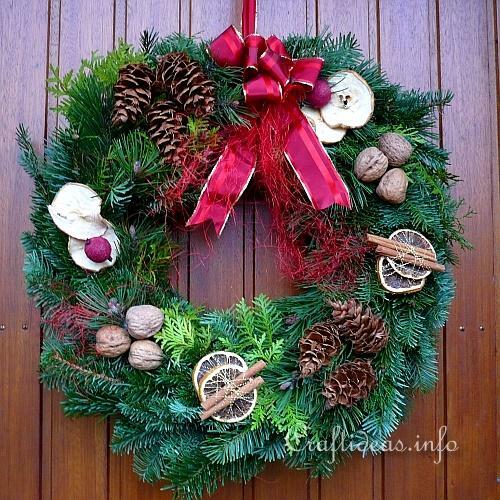 Once the wreath is completed, you can attach the decorations either by using florist wire or with a hot glue gun. This is a second example of a door wreath.